Continuing with the MCQ which I posted yesterday, today let's go through the answers and in-depth review of the concepts around obstructive jaundice. Here I would try and cover as many surgery viva questions on Obstructive jaundice as I can. If you want to go through the question again, here is the link. 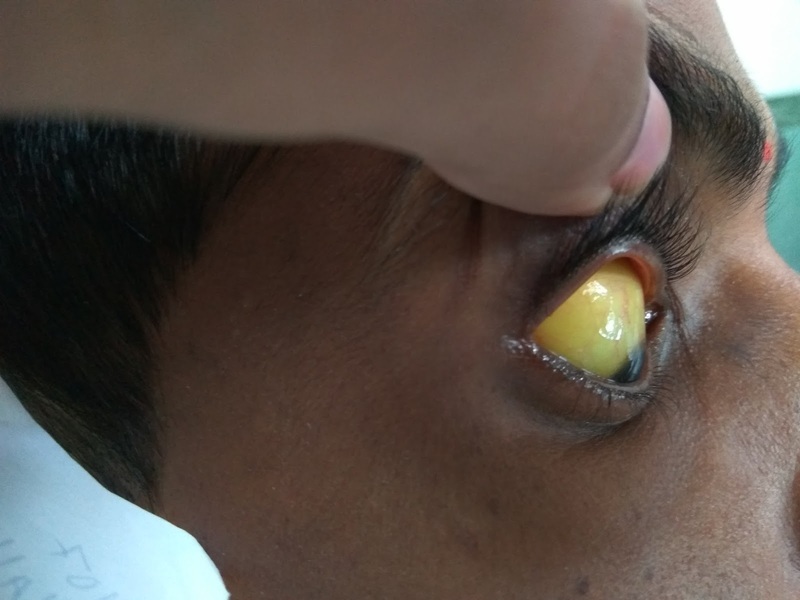 What is the lowest level of bilirubin to detect jaundice in the sclera? Q.2: What can be the cause of this presentation. He does not report any fever at the onset of jaundice. The onset of jaundice was Insidious. History of 2 days of fever can be attributed to SBP. He is a young individual, though he is an alcoholic, but alcoholic liver disease and liver cirrhosis would take quite a long time of exposure to heavy drinking to present. To confirm our diagnosis we would do a CECT of the abdomen. Dubin-Johnson syndrome: autosomal recessive disorder characterised by conjugated hyperbilirubinaemia and deposition of pigment in hepatocytes. If Gall bladder is palpable, it is not due to choledocholithiasis (Secondary CBD Stone), as it will get fibrosed due to cholecystitis by ongoing disease process and not get distended. What are exceptions of Courvoisier's Law?